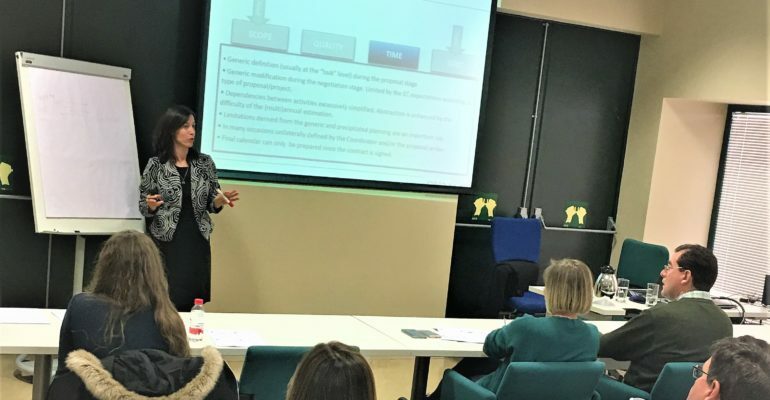 Last Thursday Synapse´s CEO Eva Molero and Senior Project Manager Elena del Rey were invited to give a course to researchers and managers of the Andalusian Health Service on the success factors in obtaining funding for research projects in Horizon 2020 calls. 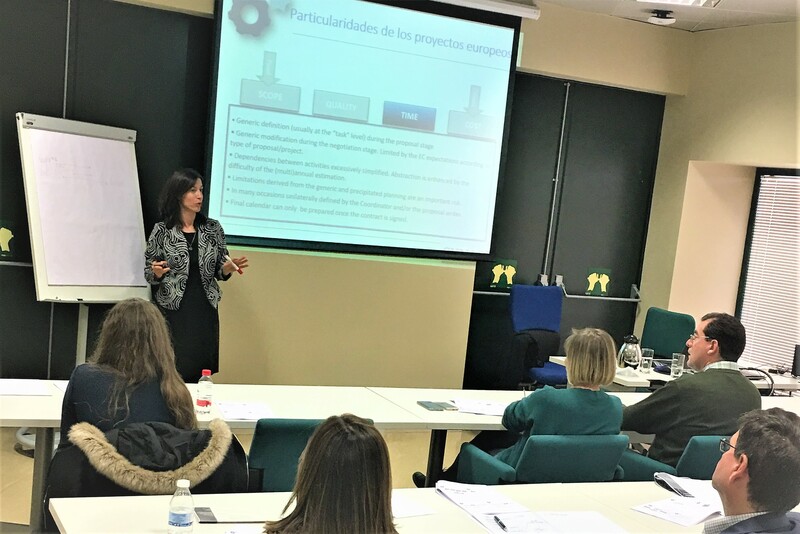 During this one-day practical workshop, Eva and Elena addressed key points in the preparation of a strong proposal. The attendees learnt about the life cycle of a H2020 project, the structure of the proposal, and discussed critical aspects related to the consortium and the workplan design. Eva and Elena also reviewed the legal aspects, risk management strategies, exploitation plan, sustainability and business models, with a focus on the challenges of planning and managing complex international distributed research and innovation projects in the health domain. Eva explained that a good scientific idea is an essential pillar for any successful project, but having a good idea is not the same as to make it happen: “The tandem of solid scientific leadership and professional project management has shown to be the main driver for the projects, towards successful completion”. Synapse regularly teaches courses on project management of European projects, organised by public and private institutions in several European countries.